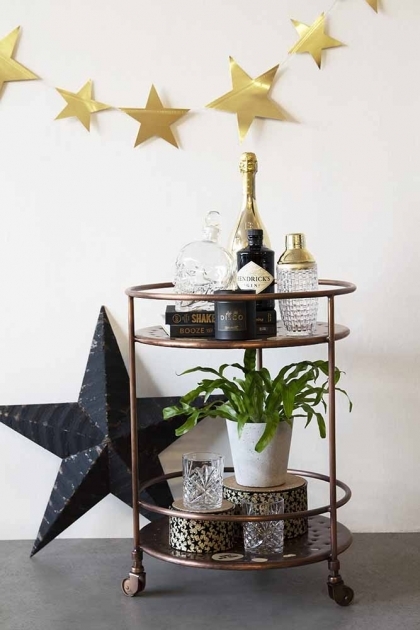 Created in an unusual copper effect metal and featuring two circular storage shelves, the Shoreditch Drinks Trolley will not only look fabulous housing your cocktails, spirits and drinkware, but we think it would also make an unusual side table or storage trolley in your home too. 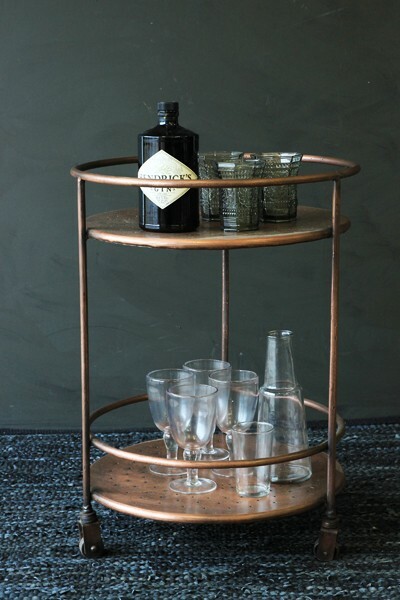 With the added bonus of being set on 3 caster wheels, the Shoreditch Drinks Trolley is super movable and perfect for serving drinks to guests at an evening soiree or afternoon party. 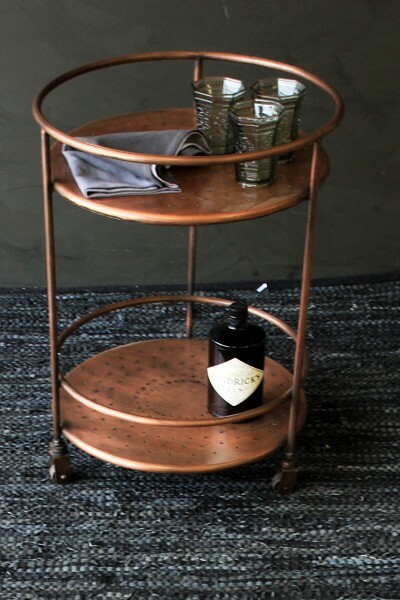 I fancy a gin and tonic? How about you?